Handsome, hardworking and one of a kind. The distinctive grain - which will differ from desk to desk - gleams through the Sheesham Highlight Wash finish. With a gracefully curved body and legs, a spacious single middle drawer, and a large surface work area, this desk will be a pleasure to work at no matter where you are. 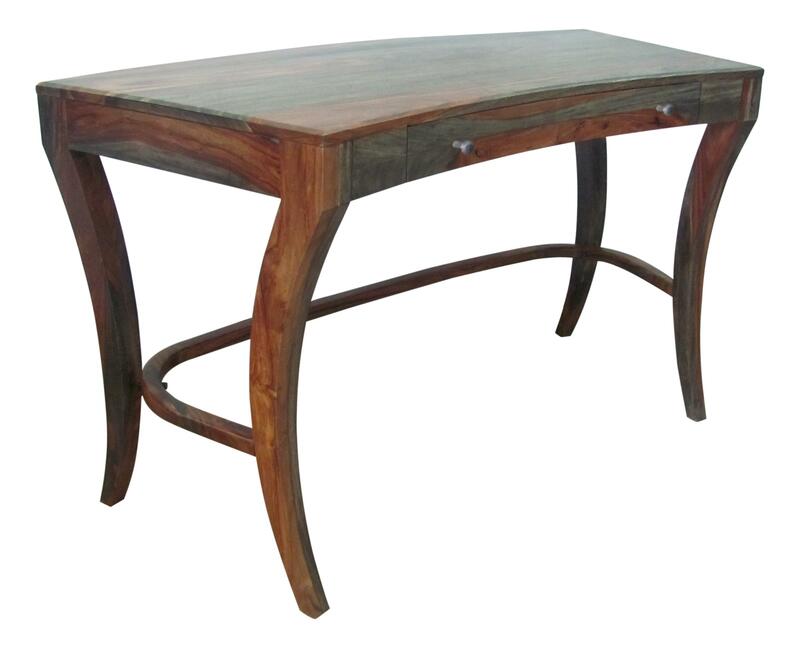 The Accents Desk by Coast to Coast Imports at HomeWorld Furniture in the Hawaii, Oahu, Hilo, Kona, Maui area. Product availability may vary. Contact us for the most current availability on this product. The Accents collection is a great option if you are looking for furniture in the Hawaii, Oahu, Hilo, Kona, Maui area.